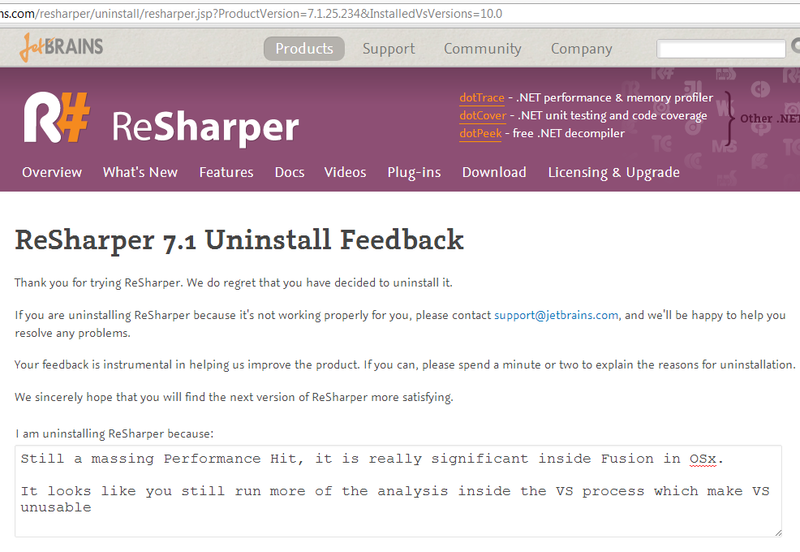 I was thinking about how I come to not to like ReSharper, when I was a big fan (and paid customer) in the past. 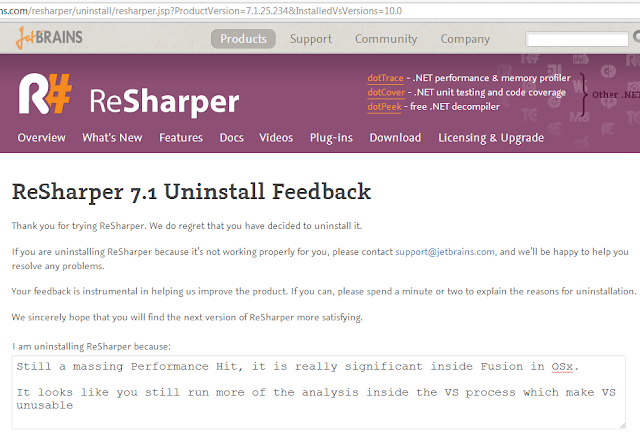 What my instinct is telling me is that I (subconsciously) expect tools like ReSharper (and JustCode) to improve VisualStudio and to make it faster, simpler and more efficient. And if a first side effect is to make VisualStudio (ever more) slower, it shows that that tool is going on the wrong direction.